When WarmlyYours introduced TempZone™ Cable three years ago, its main purpose was for flexibility. But the cable has come a long way in such a short time. Today, it’s still known for its flexibility because of its free-form nature, but it’s evolved to include a choice of two different installation options — fixing strips or a Prodeso Installation Membrane — each of which bring different benefits and pricing to the table. To help customers navigate these differences, we’re comparing both approaches below. The No. 1 benefit of installing TempZone™ Cable with fixing strips is their cost — because they’re free! Fixing strips are included with your TempZone™ Cable order, if you choose them. Therefore, cable with fixing strips is the most affordable option you can choose when it comes to floor heating. However, the tradeoff is that it is the most labor intensive. Here’s why. Fixing strips have to be adhered to the subfloor. For wood subfloors, this means screwing or nailing the strips to the floor through the existing holes in the plastic. For concrete subfloors, the fixing strips should be adhered to the underlayment using double-sided tape. Once the fixing strips are secure, the installer must weave the cable back and forth between the fixing strips. To see the fixing strips in action, check out the video below. On the other hand, the Prodeso Installation Membrane is much faster to install. 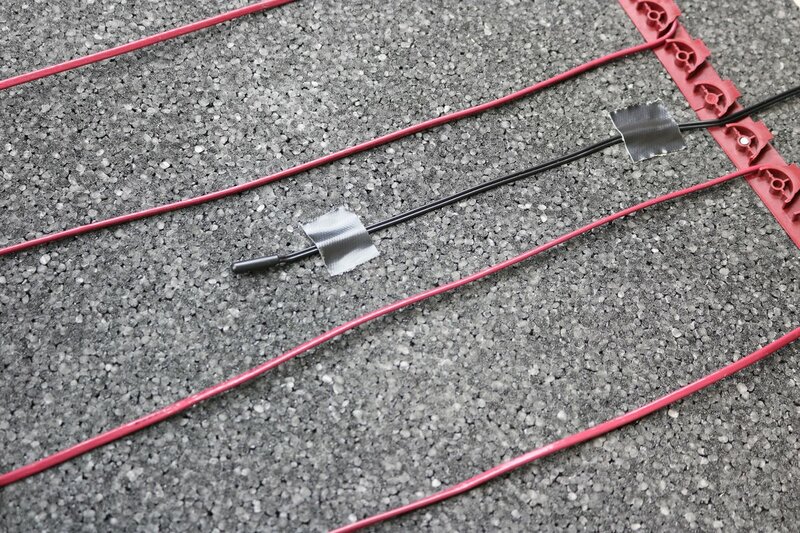 It is adhered to the floor with thinset, and the cable is simply pressed between the square-shaped reliefs to form the pattern specified in the customer’s custom installation plan. The reliefs make it easy to space the cable appropriately. 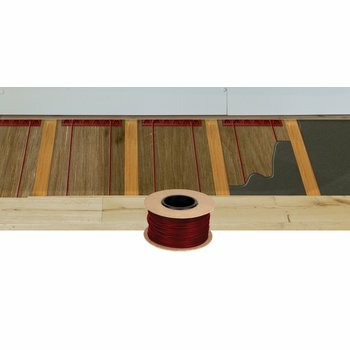 Plus, the membrane allows the installer to complete the entire floor-heating and tiling project in just one day because the unmodified thinset between the membrane and tile doesn’t need extra time to cure. The Prodeso Membrane also has the unique ability to prevent cracking in the tile above because the membrane can move independently of the subfloor. The downside to this membrane is that it is costlier. Whereas the fixing strips are free, the membrane adds to the price. To see a Prodeso Membrane installation, view the video below. To sum up, when deciding between fixing strips and a Prodeso Installation Membrane, the customer should ask themselves two questions: How much am I willing to pay, and how much labor am I willing to undertake? Because that is the main difference between the two options: One is extremely affordable but requires more labor, while the other costs more but makes installation easier. To learn more about TempZone™ Cable, visit www.warmlyyours.com. You can also get a free instant quote, which will show you the difference in pricing and benefits between TempZone™ Cable with fixing strips and TempZone™ Cable with a Prodeso Membrane — as well as other TempZone™ options.